The three properties of color are well known by the artist: hue, value and intensity. But, how much attention do we pay to intensity? It is a critical element of contemporary color, given the broad availability of colors now. You may not wish to "push" high intensity colors in your artwork, but ignorance of this key property is also a disadvantage to you. 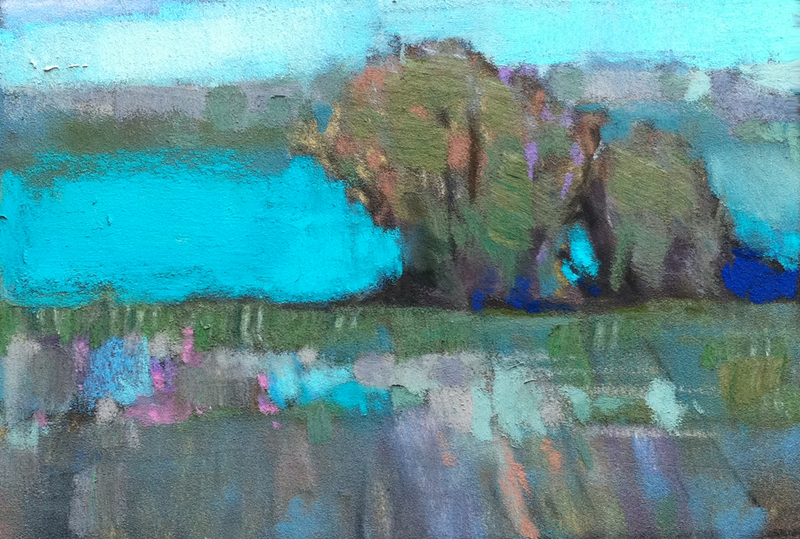 Above, my pastel, The Turquoise Axis, is focused on color intensity as a subject. Read more below the fold (takes you to the full post at The Colorist). Wonderful colors - turquoise is one of my favorite!